Activity Type: Car or bike touring on scenic secondary roads. Duration: 3 - 5 hours, including stops, or several days for those who fall in love with this area! Seasonality: Year round, depending on weather conditions and the road. Special Considerations: Drive with caution on the roads and use first and second gears up large grades. There are no mechanics or service stations along the route, so make sure you are auto-efficient and don’t forget to take a picnic! Reservations: Self-guided activity. Does not require reservations. Servicios: Lago Tamango Cabanas, Alto Río Ibáñez Sector s/n, 19 km from Villa Cerro Castillo: (09) 99193708 - 93195627 - 98136634; email: info@lagotamango.com; www.lagotamango.com. Even after the Sendero de Chile Foundation (www.senderodechile.cl), elected this route as one of the sections of its national trail for exploring Chile, it’s still an undiscovered gem: most travelers have no idea of its existence and until now, it hasn’t been emphasized on maps. Pristine, beautiful and rarely crowded, the Ardillas is an ideal route to travel by bicycle or car, with incredible panoramic views of the Cerro Castillo range, access to three beautiful lakes, the possibility of visiting rural farms and cabanas, and the Salto de Ibañéz, a true whitewater spectacle near where the Ibáñez River joins the Levicán Peninsula. From Villa Cerro Castillo you take the Carretera Austral toward the south. Pass over the Chacono Bridge where you’ll catch glimpses of the Ibañéz River as it forms a narrow tunnel between walls of rock, flowing with tremendous force toward the Salto de Ibañéz, a famous waterfall near Puerto Ingeniero Ibáñez. Five hundred meters further south, you can take a short break and visit one of the most important archaeological sites in the region: the Paredón de las Manos, a 35 m high rock wall under the protection of an overhang where you’ll find rock paintings dating back approximately 5,000 years. The paintings were formed by Tehuelche adults and children, who used a mixture of natural dyes, mostly in red, to paint “outlines”, or negatives of their hands; they put the paint into their mouth and blew it onto the rock through a hollowed-out guanaco bone. Returning to the Carretera, you’ll continue south approximately six km from the crossing for the Paredón de las Manos, to Route X-723, which travels through the Claro Las Ardillas Sector, also known as Alto Río Ibañéz. The road is narrow, steep and winding in this first stage, climbing through mature lenga forests. After 2.5 km, you will pass a traditional farm house along the right side, which marks the entrance to Las Ardillas Lake, one of the many great spots for taking photos. The route continues, passing through deep forests, open fields, and the shorelines of several lagoons before arriving at Tamango Lake, one of the main highlights of the route, especially on a clear day. This site is perfect for fishing or a picnic and THE spot to take that panoramic you’ve been waiting for of the entire Cerro Castillo mountain range. On clear and windless days, you can even capture this impressive mountain reflected in the waters of the lake. It will be hard to tear yourself away from these views, not to mention the lake shore! And if you just can’t, don’t worry! There are some great cabanas located right on the beach, where you can stay as long as you like, enjoying the views, testing your fishing skills, or visiting some of the private Tehuelche sites that are sprinkled throughout this sector (Lago Tamango Cabanas, www.lagotamango.com). And this is just the beginning of the route! The road continues along cascading streams, waterfalls and lenga forests for another 7.5 km until you reach the farm called El Franco, home of Oclidia Sandoval, a local settler and artisan, whose friends call Señora Tati. 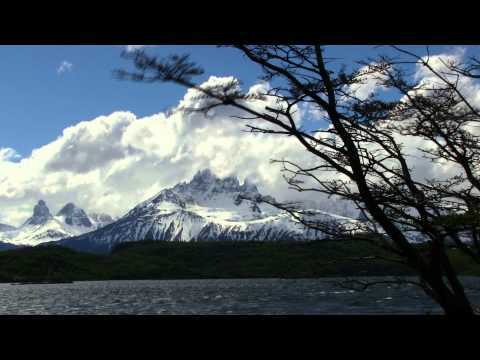 Here you can access the great fly-fishing waters of Laparent Lake or visit the Señora Tati along the shores of Redonda Lagoon; both are equally great places to relax and enjoy the Patagonian landscape. From here, the road begins to gradually descend, following the course of the Claro River, known for its crystal clear waters. You’ll drive approximately 11 Km before reaching the intersection marking the road to the Peninsula Levicán (right), and to Puerto Ibáñez (left). Continue left, until you reconnect with the same river that you crossed over at the beginning of the route, this time at the Salto del Ibañéz. 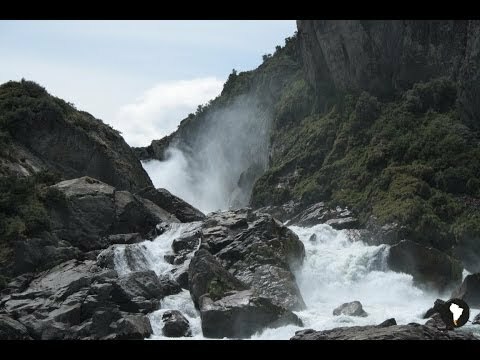 The Salto is a HUGE waterfall that plunges down over enormous boulders in three successive drops, crashing into the Ibañéz River delta near the Levicán Peninsula sector of General Carrera Lake. Excellent photographs are guaranteed here, but don’t forget to protect your camera from the wind and spray of the water! From here, it’s another five kilometers to reach the village of Puerto Ibáñez. The Las Ardillas Sector, between Villa Cerro Castillo and Puerto Ibáñez, is famous for its many lakes, rivers and lagoons, all perfect for fly-fishing. If you want to stay in the area for a longer period of time, you can contact the Lago Tamango Cabanas, Alto Río Ibáñez Sector s/n, 19 km from Villa Cerro Castillo; (09) 99193708 - 93195627 - 98136634; email: info@lagotamango.com; www.lagotamango.com. There are two cabanas that can accommodate up to 11 people and a quincho for barbecues.